Your beautiful smile, especially the teeth, and face, are one of the most important features you communicate to the world. Not only do they affect your social acceptability, they even affect your chances of landing a good job. Unfortunately, their aesthetic value unduly overshadows their significance to your health. People tend to ignore dental care, and further, do not realize how strongly it affects your overall health and well-being. This matter is so important that the American Surgeon General’s first report in the year 2000 devoted full two chapters to the linkage between oral and general health. And this linkage is bidirectional: oral health directly affects your overall mental and physical health and vice versa. Your oral health affects your overall health and well-being because the mouth has multiple roles to perform. Your Mouth-The Food Processor - Your mouth is the first point of processing your food intake. Your teeth, if they are healthy, will bite food, crush and chew it. It gets mixed with saliva which helps break larger sugar molecules into smaller ones for better absorption. All subsequent stages in the digestive system build upon this processing. If teeth are missing or unhealthy, the food will not be chewed properly, resulting in improper digestion and assimilation. Your Mouth-The Energy Portal - As all food input to the body will normally pass through the mouth, any infection in the mouth whether in cavities or in gum disease, can easily transfer to the lungs, the gastric system and the bloodstream. Scientific studies have shown a link between serious gum disease and certain systemic diseases like diabetes and cardiac disease. The mouth can function as a reservoir for bacteria which can directly contaminate the lungs resulting into bacterial pneumonia. Also, pregnant women having gum disease stand an enhanced risk of premature birth and babies with low birth weight. Mouth infection can upset blood-sugar levels making diabetes control harder. Nutritional deficiency will often show up on the face, lips, and eyes. Pale eyes point to possible liver disease. Streaks on teeth can indicate a calcium deficiency. A dry mouth may indicate towards nasal obstruction or salivary problems. Yellowing teeth indicate the possibility of gastric reflux. Mouth odor and teeth color can indicate an addiction to tobacco, liquor or other drugs. Weak Immune System – A weak immune system will allow fungal and viral infections in the mouth more easily. Medical Problems – Diabetes, some heart conditions, and pregnancy can affect your dental care and oral health. Gastrointestinal disorders such as gastric reflux can affect dental health. Some respiratory conditions can cause dry mouth and hence affect your oral health. Medications – Medication taken for other diseases may also cause a dry mouth, increasing the risk of dental decay, oral yeast infections etc. Nutritional Deficiencies – Vitamin D deficiency results in weaker bones and teeth. Similarly, Vitamin C deficiency can lead to gum bleeding and inflammation. Calcium, fluoride and other minerals are also essential for the health of our teeth and gums. Tobacco and Alcohol – excessive use of tobacco and alcohol can affect your teeth and gums. Their excessive intake is also linked with oral cancer. What is the moral of this long story? That teeth cleaning is a very important activity to be performed, as per professional advice at least twice a day. 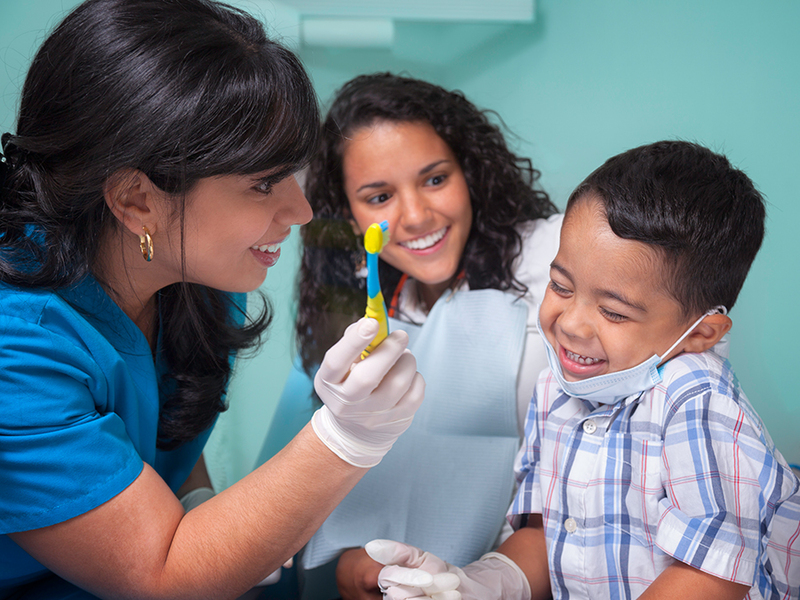 Teeth cleaning includes brushing, flossing and rinsing. In addition, a person must visit the dentist regularly for inspections, all in the interest of oral as well as general health. This will give yourself a confident smile that generates a positive well being and joy with good dental care habits.